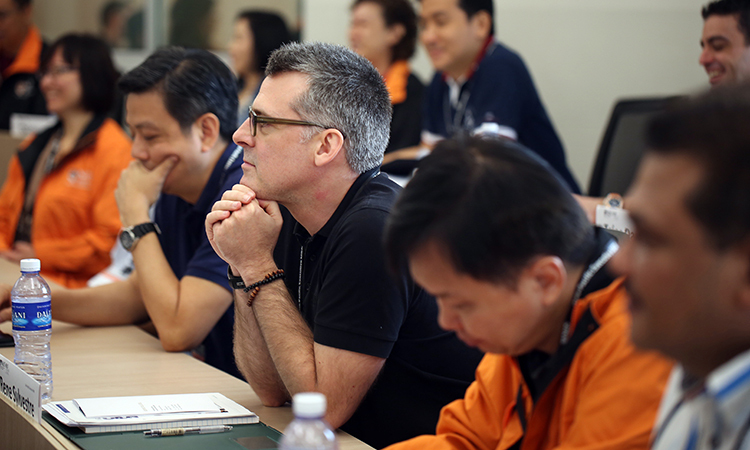 The only program in this region that spans six cities in the Asia-Pacific, the NUS Asia-Pacific Executive MBA meets global executives' and entrepreneurs' needs for a quality international curriculum that addresses the challenges of doing business in Asia at different levels of development. The two-week study segments allow participants from throughout the region and world to attend classes without career disruptions. Held in Singapore, India, Indonesia, China, Japan, and Australia, the program is designed for leaders who embrace both globalization and glocalization and who seek a particular focus on the Asia-Pacific region. This general study management program provides tools and concepts that enable students to develop skills essential to becoming a global leader. The program provides a hands-on and experience-based learning. This challenging and rewarding experience focuses on lessons from the real world, especially on innovation and leadership, thus supporting leadership development among EMBA students. Submit a request for this school to contact you back at the email you indicate. An admissions representative from this school will be notified of your inquiry via email.